Located right off of Atlantic Avenue in beautiful Delray Beach, the Grand Ballroom boasts a stunning white oak floating dance floor with nothing less than extraordinary décor. Exquisitely decorated in gold and white with accents of sage, unique artwork and antique mirrors cover the walls, while the ceiling is draped with crystals that make the space shimmer with light and elegance. An intricate mahogany, vintage wet bar sits cozy in the corner with plenty of space to entertain your guests. Don’t forget the custom built, glass DJ Booth placed front and center! 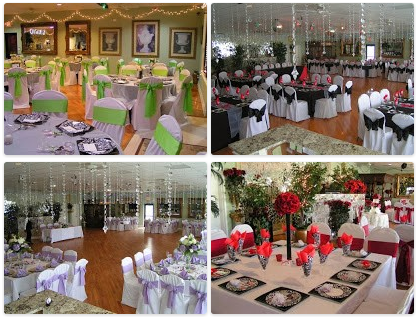 It’s bold style is sure to set the stage for your special day, with festive music to match! Ready for 210 guests, this stunning venue is filled with passion and elegance. Whether a faboosh fashion show and luncheon, a super sweet 16th birthday, the mitzvah of the decade or that dream wedding you’ve been imagining since you were a little girl, the Grand Ballroom can be transformed into the perfect space for your special day! Aaron’s Catering of the Palm Beaches creates customized packages with a complete array of services, including menus, photography, entertainment, décor and more for every occasion. 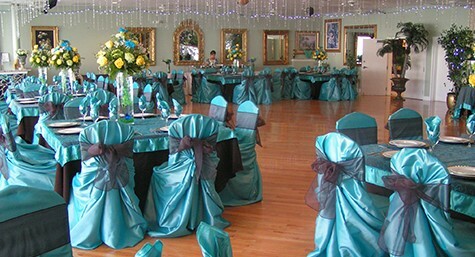 The Grand Ballroom is definitely one of Delray Beach’s most undiscovered venues!! Let’s get started creating your fabulous event today!